So far over 1.8 Million have signed the appeal “Refer Sri Lanka to International Criminal Court (ICC)”. Despite this call for an ‘international mechanism’, the United Nations Human Rights Council passed a consensus resolution in 2015 calling on the government of Sri Lanka to establish a national accountability mechanism, with the participation of foreign judges. The resolution said the judicial mechanism “should include independent judicial and prosecutorial institutions led by individuals known for their integrity and impartiality”. However, as the Report of the High Commissioner for Human Rights dated January 28, 2018 explicitly stated “a comprehensive transitional justice strategy, including a clearly defined timeline for implementation has yet to be made publicly available and consulted.” The UNCHR report also said “authorities have not yet demonstrated the capacity or willingness to address impunity for gross violations and abuses of international human rights law and serious violations of international humanitarian law”. The Sri Lankan President and Prime Minister have repeatedly and explicitly repudiated their commitments made to the Council. In an interview to Al Jazeera Sri Lankan President Maithripala Sirisena denied that any war crimes were ever committed at all by government forces against Tamil civilian populations in 2009. “I must say very clearly there are no allegations regarding ‘war crimes’, there were war crime allegations during the early stages. But at the UN Human Rights Council in Geneva, mainly in the proposals presented in September, there were no war crime allegations against us” he told the news channel. Thus the Tamil victims believe that Sri Lanka should be referred to the ICC and as the High Commissioner himself repeatedly stated, the exercise of universal jurisdiction over member states should be initiated to ensure justice is done to the Tamil victims. Transnational Government of Tamil Eelam (TGTE) is a democratically elected Government of a million strong Tamils (from the island of Sri Lanka) living in several countries around the world. TGTE was formed after the mass killing of Tamils by the Sri Lankan Government in 2009. 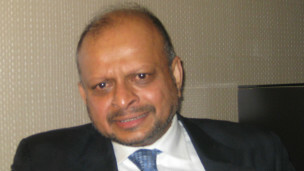 TGTE twice held internationally supervised elections among Tamils around the world to elect 132 Members of Parliament. It has two champers of Parliament: The House of Representatives and Senate and a Cabinet. Tamils in the island of Sri Lanka faced repeated mass killings in 1958, 1977, and 1983 and the mass killings in 2009 prompted UN Secretary General Ban Ki-moon to appoint a Panel of Experts to report on the scale of the killings. According to UN internal review report on Sri Lanka, over 70,000 Tamils were killed in six months in early 2009 and Tamil women were sexually assaulted and raped by the Sri Lankan Security forces. There are over 90,000 Tamil war widows and thousands of Tamils disappeared due the conflict. According to this UN report, the killings and other abuses that took place amount to war crimes and crimes against humanity. Independent experts believe that there are elements of these abuses that constitute an act of genocide. Members of the Sri Lankan security forces are almost exclusively from the Sinhalese community and the victims are all from the Tamil community. A Buddhist Monk shot and killed a Sri Lankan Prime Minister 1959 for having talks with Tamils.